Can't get enough Bryan Alvarez in your ears? 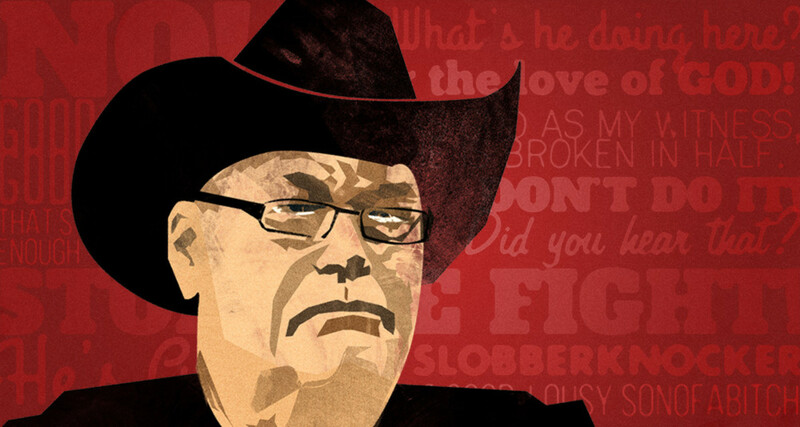 The co-boss of there site joined Jim Ross as the main guest on this week's Ross Report podcast with Jim Ross, talking about SummerSlam, ROH, and all kinds of news and notes from pro wrestling. - They talked about the makeup of the Smackdown roster and how Bryan thinks it's weaker than before the brand split. - They talked about last Friday's ROH Death Before Dishonor and how much both guys enjoyed Jay Lethal and Michael Elgin, plus the questions around the Dalton Castle character. - They discussed NXT TakeOver and what both guys like and didn't like about the show. JR especially liked Tom Phillips and Corey Graves who he called the best announcing pair of the weekend. - They talked about the length of the SummerSlam show and how it can be too simply too much at times. - They discussed the physicality of some of the action (Charlotte/Sasha, Balor/Rollins) and the dangers in too much punches on the bump card at this stage of the game. - They talked about the finish of the Brock Lesnar/Randy Orton match, blading vs. hardway cuts, and the backstage confrontation between Lesnar and Chris Jericho. - They discussed the status of TNA and their hopes for Billy Corgan's reign. JR was even nice enough to talk about this here site is "amazing" and that he's a regular user, adding that you can't get any better coverage of wrestling than you do here.